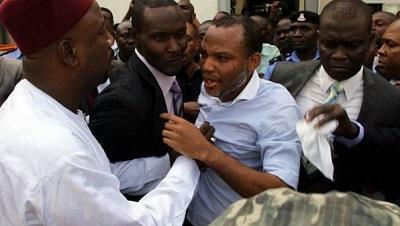 leader of the Indigenous People of Biafra, IPOB, should have done. Omokri said the elusive IPOB leader should have created a political party in the South East and use it to push for the void of his people. Sharing a report of Catalan separatists wining absolute parliamentary majority, Omokri said Kanu should have mastered the act of politics through a political party. In a tweet via his Twitter handle, the former presidential aide, said the IPOB leader should never have dared President Muhammadu Buhari. The tweet reads, “This is what IPOB should have done. Form a political party and win all the Gubernatorial and House of Assembly seats in the SE. “Kanu should never have talked violence or dared Buhari. He would have won by mastering the game then using it to advance his people’s cause peacefully.